In other news: Grocery tax battle results in cease-and-desist letter. 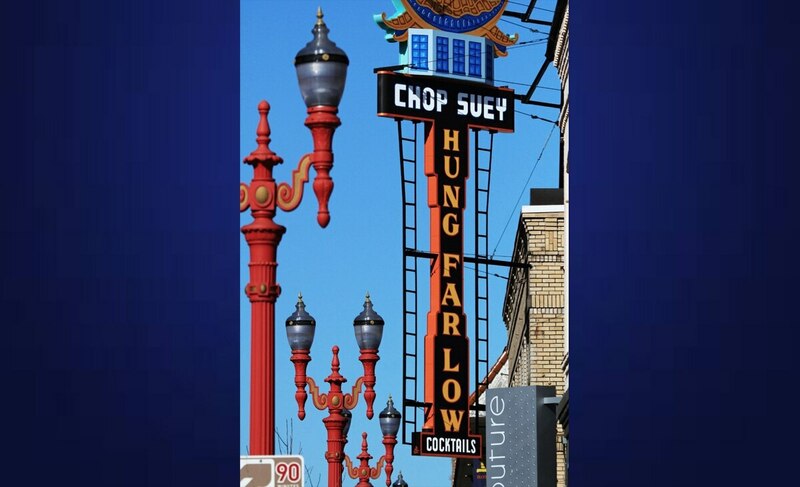 Huffman Sues Hung Far Low Heirs: Portland restaurateur Kurt Huffman is in a legal battle with the heirs to the Hung Far Low building in the Chinatown neighborhood. In 2009, Huffman teamed up with Pok Pok's Andy Ricker for the rejuvenation of the historic landmark. The rehab was a collaboration between Huffman and then-owner JoAnne Hong, who died in 2016. Now Huffman is suing Hong's heirs and estate, saying they engaged in an elaborate scheme to oust Huffman and his business interests from the property by denying renovations and sneaking into the business after hours. Huffman's current restaurant, Fortune, is fighting an eviction case filed by Hong's estate, he says. Hong's heirs—Debera Hong, Daniel Hong, and Linda Ann Hong Hwee—could not immediately be reached for comment. Grocery Tax Measure Leads to Cease-and-Desist Letter: Backers of Measure 103, which would amend the state constitution to prohibit taxes on groceries, are sending a cease-and-desist letter to every member of the coalition that's backing the no campaign. Threatening to sue supporters of a campaign is an unusually aggressive move. But the Yes on Measure 103 campaign says opponents have misrepresented the effect of the measure, claiming it would apply to fuel taxes and Medicaid taxes on hospitals. "My client has been, and continues to be, damaged by numerous false statements made by Vote No on 103 and its Coalition Members regarding Measure 103," writes Portland attorney Jill Gibson in the Sept. 10 letter. Opponents stood by their claims—and criticized the yes campaign's tactics. "The special interests bankrolling the yes campaign are playing dirty politics," says Becca Uherbelau, executive director of Our Oregon, which is fighting the measure. Port of Portland Police Sued for Tackling Traveler: A California woman has sued the Port of Portland and the Sheraton Portland Airport Hotel, saying port police tackled her as she tried to book a hotel room after missing a flight. Blanca Aguirre says port police tackled her without warning or explanation, failed to read her Miranda rights, illegally detained her and refused to document her injuries or complaints. "Our perspective on this matter is different than what is described in the lawsuit, but we are reviewing the allegations," says Port of Portland spokesman Steve Johnson. Aguirre is the second Latina woman to allege excessive use of force by the port police this year. The first was Jathina Campos, who says police gave her a black eye and chipped her tooth in a February altercation at the airport. Fritz Endorses Hardesty for Portland City Council: Portland City Commissioner Amanda Fritz has endorsed former state legislator Jo Ann Hardesty in the race for an open seat on the City Council. Hardesty now has the endorsement of both women currently sitting on the council: Fritz and Commissioner Chloe Eudaly, who endorsed her earlier this year. Fritz cited Hardesty's policy positions, including on publicly funded election campaigns and police reform, as well as her style of leadership. "Jo Ann has been a staunch proponent of Open and Accountable Elections, police accountability, and equity for East Portland—all priority issues for me," Fritz tells WW via email. Hardesty faces County Commissioner Loretta Smith in the November election to replace Commissioner Dan Saltzman, who is retiring after five terms.